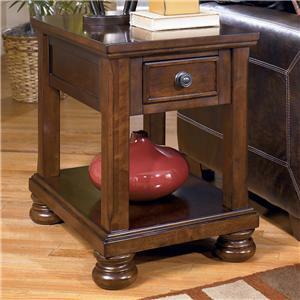 This traditional end table has turned legs and bun feet for an elegant addition to your living room. 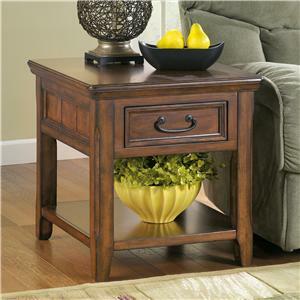 With a drawer and a shelf below, this end table is sure to meet your storage and display needs. The 72101 Square End Table with Drawer and Shelf by Coaster at Rife's Home Furniture in the Eugene, Springfield, Albany, Coos Bay, Corvallis, Roseburg, Oregon area. Product availability may vary. Contact us for the most current availability on this product. 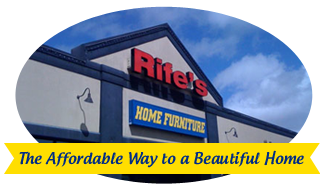 Browse other items in the 72101 collection from Rife's Home Furniture in the Eugene, Springfield, Albany, Coos Bay, Corvallis, Roseburg, Oregon area.